Brewing Update: The Jalapeño Ale has been released! Check out our Jalapeño Hopper video! We worked with Sip Milwaukee to create this awesome video of our Jalapeño Hopper creation. Be sure to find your bottle at a store near you! 9.30.17 – We had a blast releasing Jalapeño Hopper with Chris and his friends at Camp Bar! It truly was an awesome time. Can’t wait for the next release party! 9.12.17 – Ingredient Additions! We are adding Jalapeño and limes today! The brewery is smelling awesome! We will have some fun video footage for everyone to enjoy as well! Stay tuned! 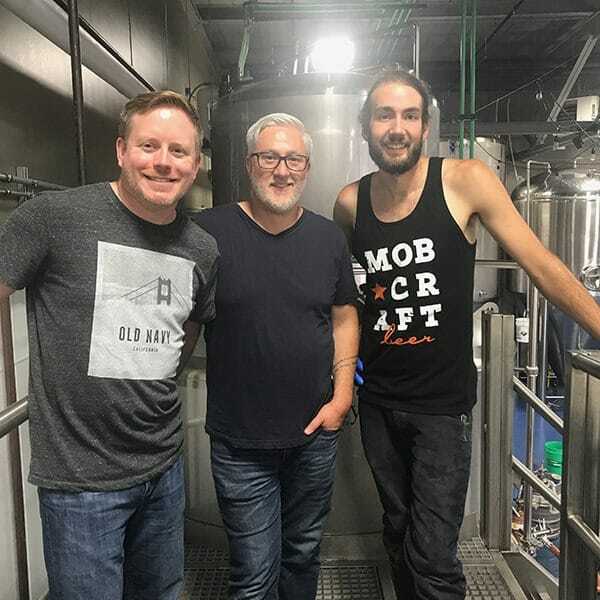 8.18.19 – Brew Day! Our brew day had an early start this morning – 6am. Needed to get an early start as Henry, one of the MobCraft owners, is getting married tomorrow! We need to get the brewery all cleaned up for the big reception. The winner, Chris and Derik were able to join us a bit later to partake in the brewing fun. Chris and Derik came in as total novices to the brewing world and they are leaving with a brew on a 30 barrel brewhouse under their belts. 7.26.17 – July’s Winner! Jalapeño Hopper – Ale with a hint of lime and a jalapeño zing – enough spice to make you sweat a little. We don’t brew a ton of jalapeño Ales but we are quite excited for this one! We had three cocktail style beers win in a row! The most recent winner is crafted after the lime margarita! Thanks Chris for submitting such a great beer idea. Congratulations on your win. We can not wait to get this beer brewing!